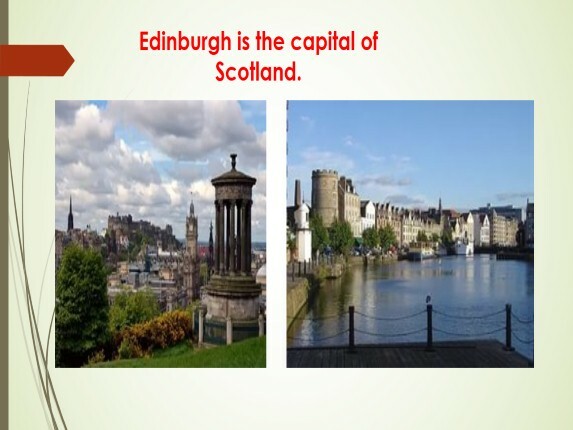 Scotland is a country that occupies the northern third of the island of Great Britain. 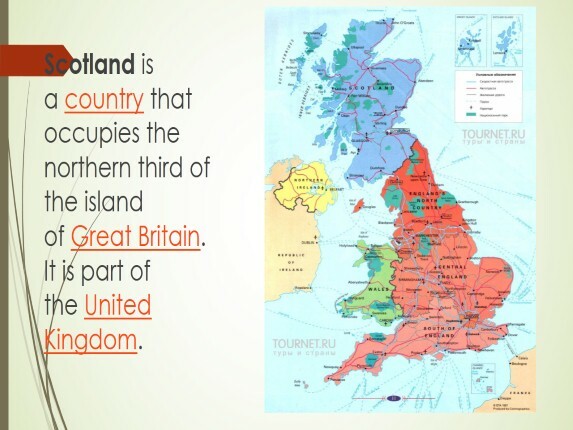 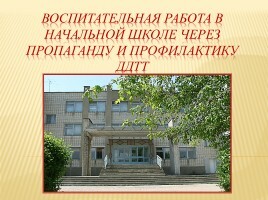 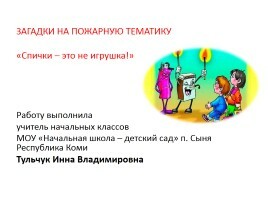 It is part of the United Kingdom. 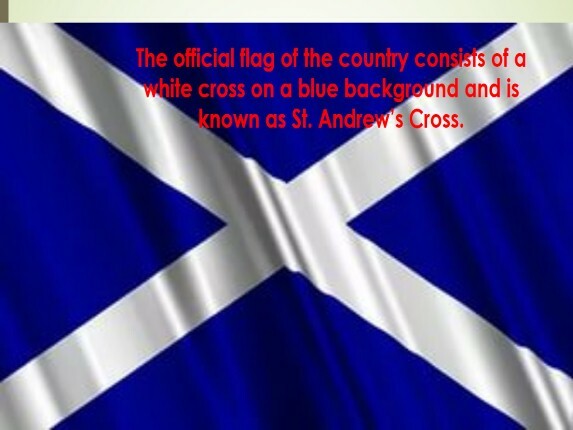 The official flag of the country consists of a white cross on a blue background and is known as St. Andrew’s Cross. 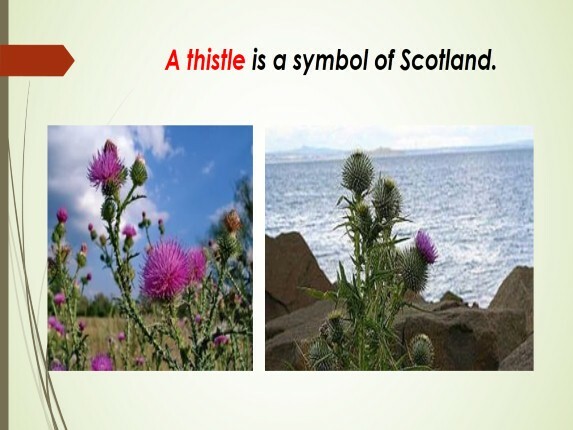 A thistle is a symbol of Scotland. 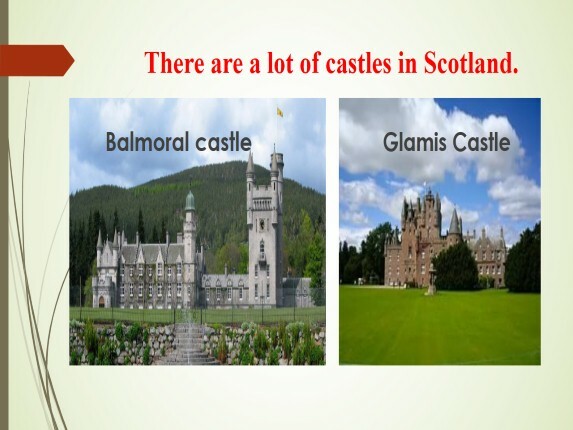 There are a lot of castles in Scotland. 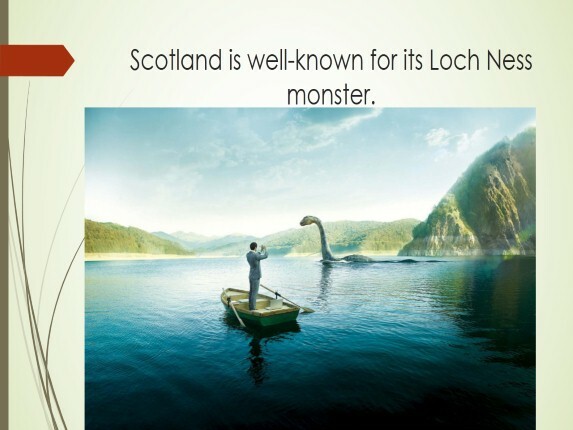 Scotland is well-known for its Loch Ness monster. 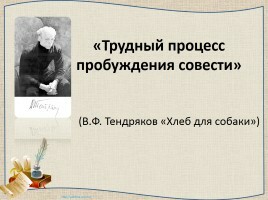 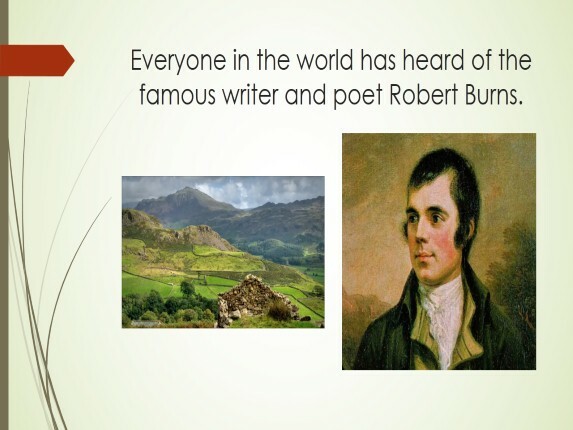 Everyone in the world has heard of the famous writer and poet Robert Burns. 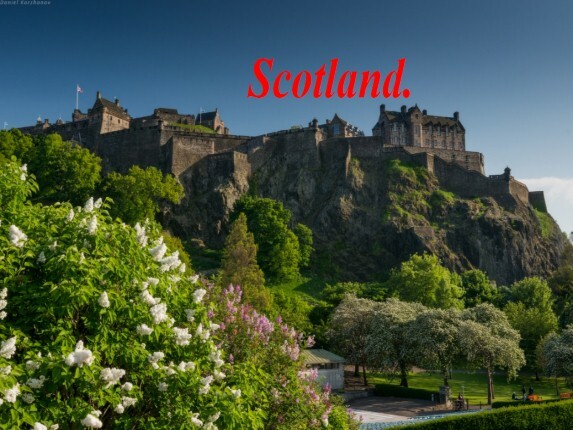 Scottish people like all kinds of celebrations. 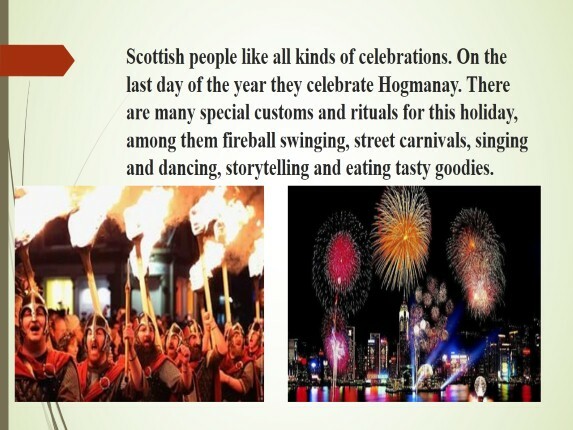 On the last day of the year they celebrate Hogmanay. 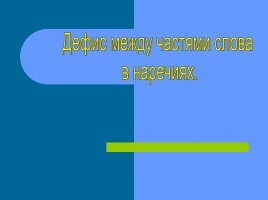 There are many special customs and rituals for this holiday, among them fireball swinging, street carnivals, singing and dancing, storytelling and eating tasty goodies. 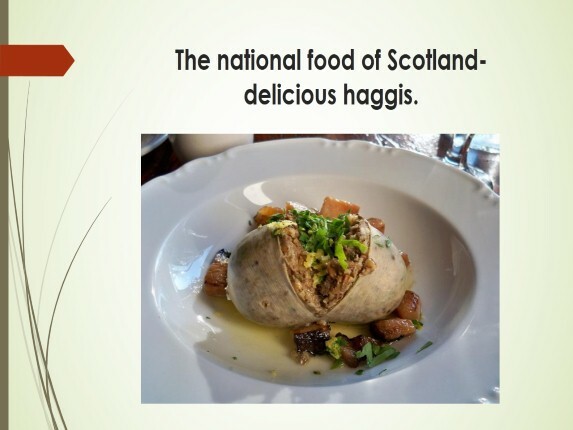 The national food of Scotland- delicious haggis. 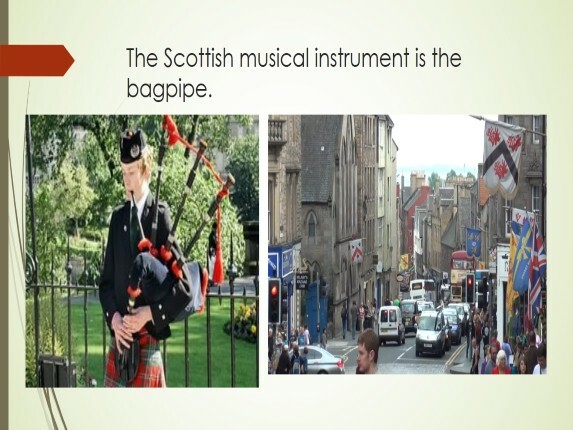 The Scottish musical instrument is the bagpipe.